Loved the set they played. Entertained from.the minute they got on stage. Great atmosphere and well worth the travel to see them. "Chiming guitar pop with witty banter"
What a brilliant band. I'd always 'liked' Bluetones. Now I'm an ardent convert. Every song was a killer live. Mark's voice is brilliant. His between song banter is hilarious and really makes you love them even more. The guitar fills every void despite mostly being just a single guitar. One of the best bands I've seen in years. The Bluetones never disappoint. Mark Morriss was in fine voice and funny as usual. Adam, Scott and Eds looked like they were enjoying the set as much as we were. Enjoyed listening to this band for the first time. A good gig well done. Well supported by the Heron Brothers too who were also excellent. The Bluetones are back! The band, which were a huge part of the Brit Pop era, were always an engaging and dynamic live outfit. Fronted by the enigmatic Mark Morriss, they had an impressive run of hit singles that included ’Bluetonic’, ‘Slight Return’, ‘Marblehead Johnson’, ‘Solomon Bites The Worm’, ‘If’ and ‘Keep the Fires Burning’. Their live shows brought the West London four-piece an army of devoted followers worldwide. Join them when they play their highly anticipated headline shows at Cambridge Junction, Newcastle Riverside plus Concorde 2 at Brighton during March and then William Aston Hall in Wrexham on Friday 24th of May 2019. Plus, the join the massive line up for Gigantic Vol. 5. Supporting Echo And The Bunnymen, it takes place at Manchester Academy on Saturday 26th of May 2019. We are very excited to be able to offer The Bluetones tickets but they will not be around for long so make sure you book yours before they all go. All orders for gig tickets can be placed 24/7 with Gigantic using your computer, tablet or smartphone whilst at home or when you are out and about. Make sure you set a personal reminder with Gigantic. That way, we can alert you with a text message or an email as soon as they are released at 10:00 on Friday 9th of November. The band's members are Mark Morriss on vocals, Adam Devlin on guitar, Scott Morriss on bass guitar, and Eds Chesters on drums. The band scored thirteen Top 40 singles and three Top 10 albums in the UK charts. Glastonbury, Top Of The Pops, The Bluetones did the lot and toured with everyone from Radiohead to Bruce Hornsby & The Range. 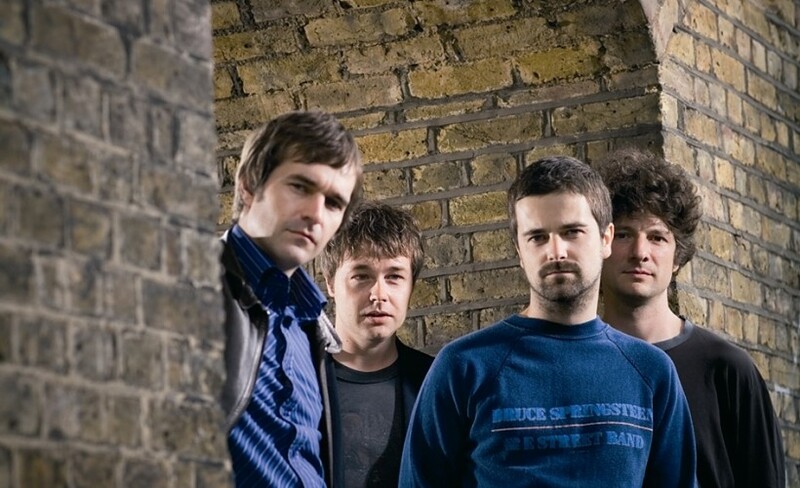 Fans will all want to get their hands on The Bluetones concert tickets but with only limited supplies on offer you will need to act fast and book yours before they are all snapped up. With a huge range of essential gig tickets on offer plus excellent customer service, award winners Gigantic should always be your first choice whenever you are booking your big night out.